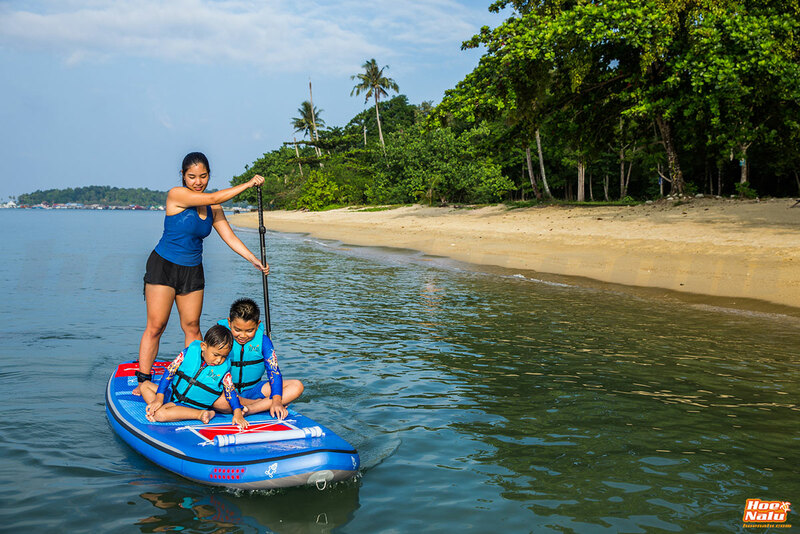 Since a few years ago, the inflatable SUP boards have become more popular thanks to their maneuverability, and the easy way to transport and use, also they have improved considerely the technology that they have been made and the way that they surf on the water. 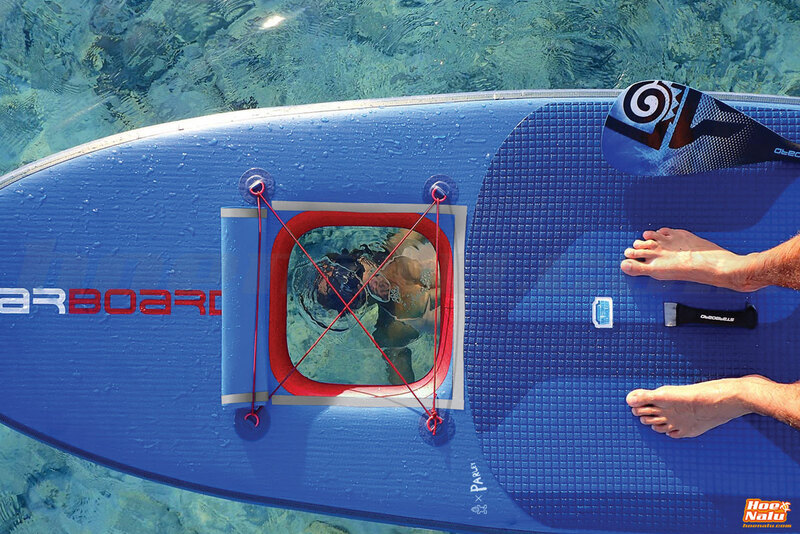 It is not rare that the number of people interested in buying an inflatable board have increased, so for a lot of people the iSUPs are a very good option like the first way to contact Stand Up Paddle or the solution to have a paddle board stored in a small flat or going by travel everywhere with the board. 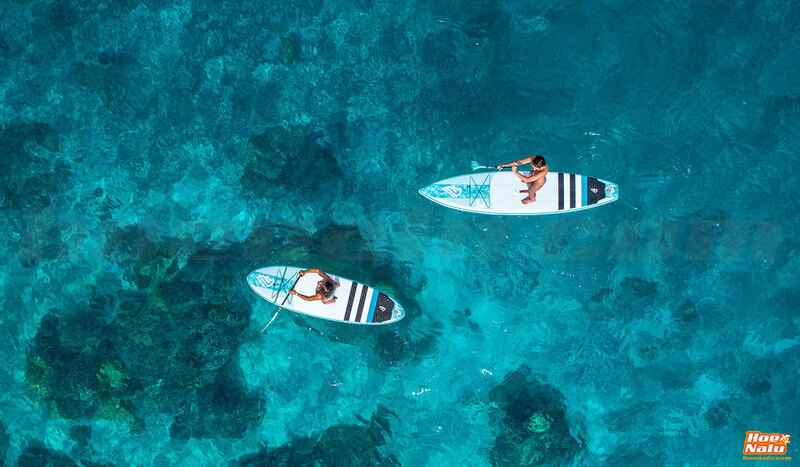 Although this type of paddle surf boards generates some doubts in the people, so we have decided to collect the most frequent questions in this post, and answer them to give you a clear view about the inflatable paddle boards, their uses, advantages and disadvantages of them and a lot of information that we hope it will be useful for you. If you have another questions or want to solve any extra doubt, we will be glad to answer your questions. 1. How long does an inflatable SUP take to inflate? The length of time it takes to inflate your SUP will depend on the type of pump you are using and also the volume of the board. To answer this question we will take the most common options, a regular hand pump and an allround 10'6" board with 240 liters of volume. It will take from 7 to 12 minutes because it depends on the speed that we pumping, and the time that we can follow pumping with the pump in double action mode, because most of the air pumps have the option to set a double action to pump faster, ejecting air when the pump goes up and down, however when the board is on its 50% of capacity the double action turns harder and we must set the single action to pump only pushing. If we have a good electric pump or an air compressor, the time will not change a lot, but the effort will be minimun, so the board will swell up alone while we can do another task. 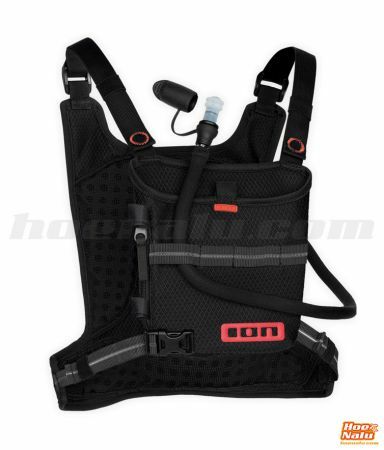 Maybe the better option is an air compressor, you can use the Red Paddle Co Valve adaptor to swell the iSUP. On the other hand, returning to the manual inflated, it is remarkable that the Red Paddle Co boards come with the Titan pump who has a double tank so it swells faster than every other board. 2. How long does it take to deflate the board and roll it back into it’s carry bag? It really takes only a few minutes. Once you push the valve and free it, the air scapes fast on natural way. While the board is deflating you can store your personal things and change to dry and clean wear, a few minutes later, the board will be ready to fold and store it. If you start to fold by the opposite side of the valve you can help the air exit faster. There are pumps, like the Starboard ones, who have a second outlet that extract the air go out easy and completely from the inside of the board, so you can be sure a perfect fold. 3. What PSI do I inflate my board to? Usually the pessure depends on the construction of the board because a better board made allows a higher pressure, and it means more stiffness. The low pressure is 15 PSI and the top is 22 PSI, but almost every board has the recommended pressure written around the valve or in the instructions, because each model and brand has its own pressure, and it can be different depending on the size of the board for example. The pressure measure is in PSI Pounds-force per Square Inch, and 15 PSI is like 1 BAR and 22 PSI is similar to 1,5 BAR. Some advices: Remember that the heat expand the air and in consequence it increases the pressure, so if you leave the board under the sun for a long time, be careful to deflate the board a little to avoid damages. If you are a light person you don't need to pump the board to the topest pressure, you can set a pressure less than the 100%, but if you are heavy then you must pump to the maximum pressure to give the properly stiffness to the board, and avoid the banana effect. 4. Can I take my ISUP on an airplane? Absolutely!. One of the great things about inflatable stand-up paddleboards is that they can be taken anywhere, including on an airplane. You can carry it on its own backpack with the paddle and the pump, or you can store it in another luggage that you prefer. Usually you will not have problems to make the check-in the board with your flight company but we recommend you to review the luggage condition of the air company to avoid surprises. You must take into account that the weight of the board is 10 kgrs so think about it when you calculate the total weight of your luggage. 5. How do the fin of the inflatable boards work? There are different ways to set the fin to the inflatable board. Most of the central fins use the US-Box system, it consists in a track where we put inside a small metal plate, and the fin fixes to it with a screw. Another system of removable fins is the Slide-Fin, that's a fin who slides by a track and it is blocked with a piece of plastic that comes joined to the fin with a string. Last, there are some boards that come with all the fins fixed, not only the side ones that is the regular thing, also the central fin is fixed too, so you will not be worried about to set and remove the fin or lose it when you are setting ready your board. ​6. What kind of paddle should I use? You can use the paddle that you want although the most recommended option is a 3 pieces paddle that you can store in the backpack with the board folded. There are a lot of options of 3 pieces paddles, from the basic ones, made in aluminium, that are heavy and they don't float but they are the cheapest option, to models with a high percent of carbon that makes them lighter than the others, they float and allows you a comfortable paddling, but it is true that they are expensive too. There are some options that we want to recommend you for its good ratio between pric, quality and performance, like the Starboard Tiki Tech and the Starboard Carbon T10 from the brand of the Tiki, or the Fanatic Carbon 35 and the Fanatic Bamboo Carbon 50. 7. I think my board has a leak… how do I find it? Leaks are not that common as most inflatable SUP’s are built really tough. However if you think you might have a tiny leak there is an easy trick to figure out where it is. With your board fully inflated, pour some soapy water over it and spread the suds with a rag. Watch for tiny bubbles, that’s where your leak will be. 8. How do I patch my SUP board? Once you’ve found your leak you can now patch it. Your board will come with a repair kit that includes a small PVC patch and some waterproof glue, like the Nautiglue. Make sure your board is completely dry, then cut a piece from the PVC patch and glue it on. Let it sit for awhile, your glue bottle will tell you how long it needs to dry, but we recommend 24 hours at least. Then you’re good to go into the water. Inflatable boards don't need special care, you just only must wash it with fresh water after the use and specially before you bend and store it. To put it into the backpack it is better that if it is dry, but it is not needed. It is better if you don't put the board under the sun for a long time (4-5 hrs), but if you do that, please be sure to wet the board one time per hour at least or deflate it a little bit to avoid that it don't be at the maximum pressure. You must take into account that the high temperature makes that the air expands and your board could be damaged. 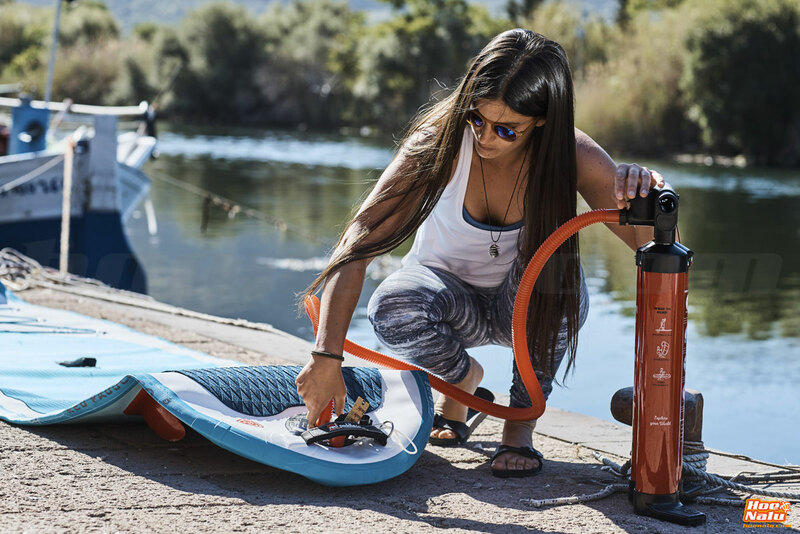 If you are going to store the board for a long time, you can read our post about how to take care of your inflatable board in which we give some advices to keep your board safety avoiding damages by the humidity, for example. 10. How long will an inflatable SUP last? Obviously inflatable boards have not an expiration date. It depends on the use and the care that you give it. If you follow the advices that we said you previously, the life of your inflatable board will be long and you will enjoy it for a long time or maybe you can sell it in the future to try a new board with another shape or construction. 11. Not all boards are similar. How does length and width affect performance? A long and narrow shape goes faster on the water but it hasn't many stability if we compare it with a wider board, that it shows as a very stable one but it will be slower than the previous one. A long board allows you to keep the direction while you are paddling, while a short board will be easy to turn but difficult to maintain straight on the same line. To make the best mixture between different features and get the better performance, SUP boards factory made the allround shape that combines an excellent stability, with a good speed and direction. The size of a typical allround board is 10'6"x32" more than less, it is like 320x80 cm approx. 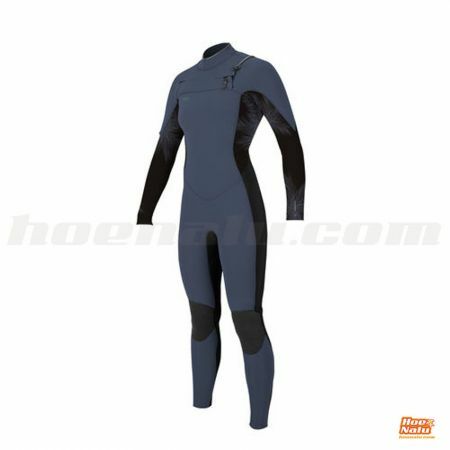 This measure give us the stability to start paddling comfortablity and enjoy the Stand Up Paddle from the first minute that we ride on a board. 12. What kind of warranty do inflatable SUP boards have? The warranty for these boards usually is 1 year, so that any manufacturing anomaly that the board could present is covered. The warranty and coverage depends on the manufacturer and the post-sale service depends on the place where you bought the board. This year, Red Paddle Co has included a one extra year of warranty for its boards if you register it on the official website of the brand. This fact gives you an idea about the quality of these boards. 13. Can I use my SUP board with my pair, kids or pet? Absolutely, share the Stand Up Paddle activity with your pair, the kids or your pet is a great idea. Maybe you enjoy SUP alone, in fact, this is one of the positive aspects about SUP most value for the people becasue you find your personal moment of relax and time to thing about yourself and your things, but it is funny to share it with your loved ones. Only you must think about the volume that you need to carry on the board the one that you want because it can be a big increase of the weight on the board and you will need the propperly volume to transport all of you. The inflatable boards are so suitable to carry on people because they will not be hurt by the board and the board will not be damaged for them. 14. What kind of security device should I wear on my iSUP? From HoeNalu we recommend to use the leash always, for us it is needed always because it is the first security element that keep you joined to the board when you fall down into the water, so you must have it always although the sea is calm, we don't recommend it only for people doing SUP river in white waters because it could be dangerous. We also recommend a PFD as a vest because it gives you an extra security and there are coast zones where it is required, so we recommend you to consult the local law or ask to the local authority.